Feng Ji is the young leading high jewelry designer in China and established her Haute Joaillerie brand in Paris and Shanghai. She also sells her jewels through for instance Instagram. 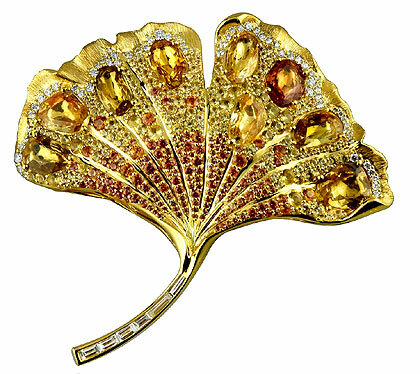 "Ms. Feng said her Ginkgo brooches remind her of the Ginkgo leaves falling from the trees in her Hangzhou hometown and are made with natural yellow sapphires and other gemstones." 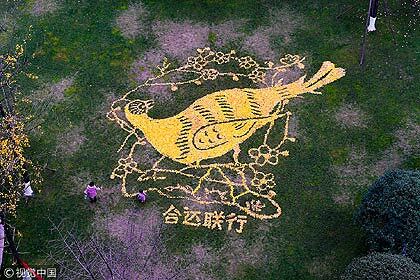 Photo Sohu.com + more info read article: New York Times March 22, 2019. Rinchenia mongoliensis (Oviraptor) in the Mongolian sun under a Ginkgo apodes tree. China, Cretaceous period, c. 121 million years ago. 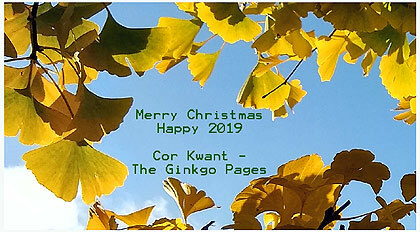 More about Ginkgo fossils on my website. Enlargement of this picture by Rebecca Dart on Twitter. 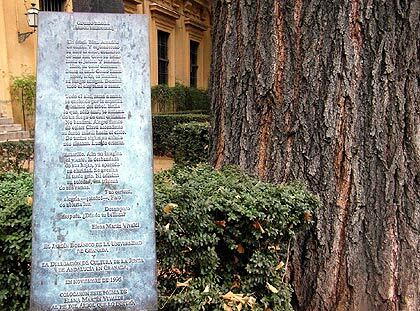 Wonderful Ginkgo biloba tree in fall, Parque de la Fuente del Berro, Madrid in Spain. This tree was planted c. 1930. Read more about this tree and park here. 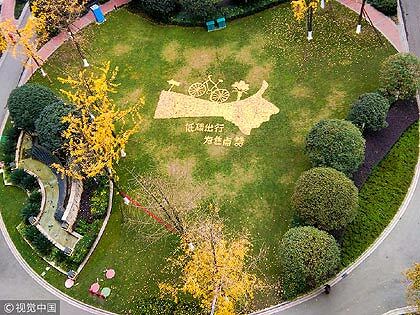 China: A sunbird created with fallen Ginkgo leaves by street cleaners in Chengdu, Sichuan Province, on December 4, 2018. It took the workers two hours to craft this wonderful image. 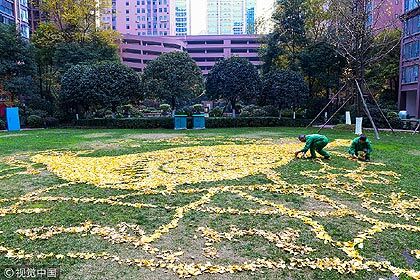 The workers create a new picture from fallen Ginkgo leaves every three days. 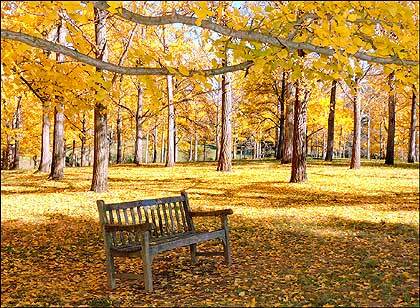 Ginkgo grove during fall at the State Arboretum University of Virginia, Blandy Experimental Farm. More info on my blogpost of April 27, 2016. Video by Winchester Aerial on YouTube. * New topic: Long-term stable refugia for relict plant species in East Asia. * New photo on Photospecial page: Ginkgo reflections, Hortus botanicus Leiden. Kangxi six-character mark in underglaze blue. 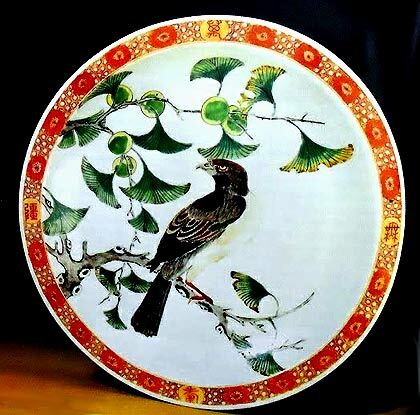 Series of ‘birthday’ dishes made for Kangxi sixtieth birthday celebrations (1713). 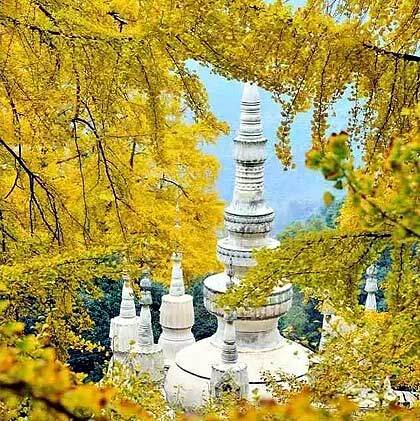 90 Ancient Ginkgo trees at Baiyan (White Rock) Temple, located in Jinxing Township, Dayi County, Sichuan in China, more than 60 kilometers from Chengdu. The temple was built under a huge white rock, that’s how it gained its name. 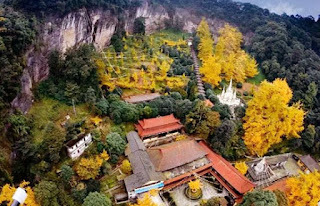 It is said to be constructed in the 16th year Eastern Han Dynasty and is the only Tibetan Buddhist temple near Chengdu. 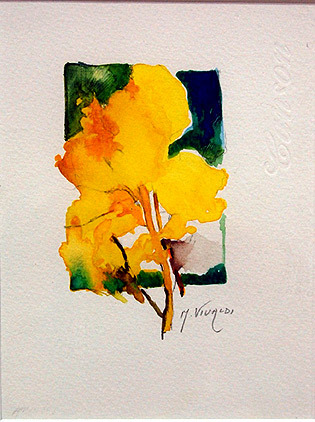 The Ginkgo trees scenery attracts many visitors. Google searchengine shows a doodle "Fall Equinox 2018". 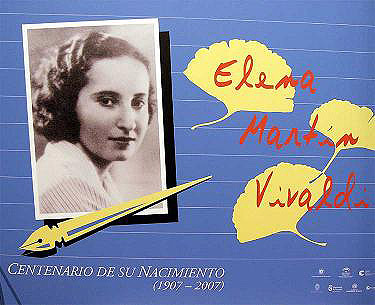 You can see its larger format here. 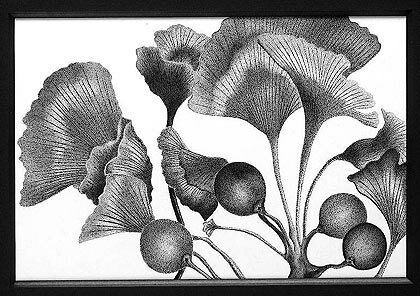 Ginkgo leaves (and seeds) drawing by Kathleen Birnbaum. 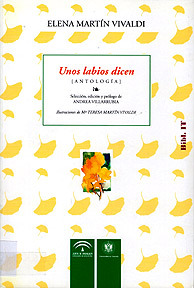 Botanical illustration. Ink on paper. Stippling pen and ink on paper...up to 4000 dots per square inch on acid free heavy weight drawing paper.